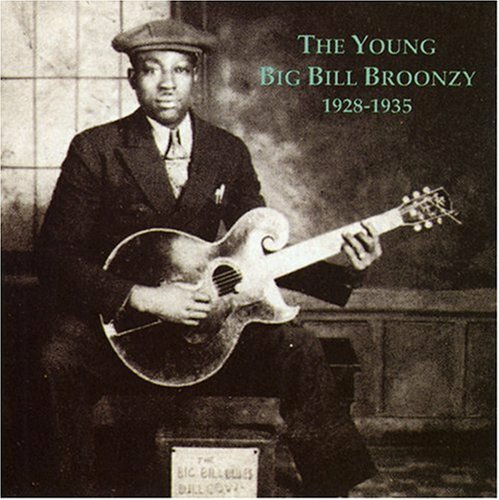 Blues – Howlin’ Wolf, Robert Johnson, Big Bill Broonzy, Etta James, B.B. 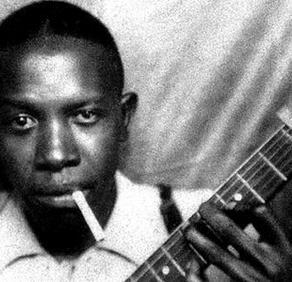 King, Willie Dixon, Muddy Waters, and others wailing through classics such as “Smokestack Lightnin,” “Preaching the blues,” “Spoonful,” “Got my Mojo Working,” “Dust My Broom,” and more. On NML, you can hear Big Bill sing “I Feel So Good,” which features a rollicking piano, harmonica, and snappy drum work, with lots of friends screaming in the background. Just the track for a Friday morning at work pick me up! Finding: Naxos Music Library allows you to select the songs you want to hear, select sound quality, share information via Twitter and Facebook (though I’m not sure if our Naxos settings support that), and even provides links for you to buy or download the files you want. NML has a Keyword Search box at the top of its page, but I’ll recommend you use the Menu Bar instead and browse Genres, Artists, and so on. When I use the Keyword Search box for specific artists, my results are often off the mark. Sometimes the Keyword Search box seems to work well, though. I searched American Indian there, and found a number of recordings including the wonderfully relaxing Spirit Wind: Native American Flute, by the Native Flute Ensemble. Listening to it now as I write! You can also search by browsing through the Menu Bar links. One fruitful place to look through is the Genre link, where you’ll see that NML includes Classical Music; Contemporary Jazz & Jazz; Folk Legends; Blues; “Nostalgia” (looks like a lot of Johnny Cash listed there, along with Duke Ellington, “timeless Country songs,” brass bands, and lots of interesting miscellanea); World, and more. The World genre alone has 184 fabulous pages of listings, including pages and pages of African music of all kinds – traditional, contemporary, choirs, and more – including a 3-volume series called African Rhythms and Instruments, with each volume including specific regions). Find something of interest, click the songs you want to listen to, and that’s it! There’s so much here, ranging from traditional songs from Afghanistan to Japanese music for the koto, the shamisen, and shakuhachi to Lebanese bellydance to Yiddish and Klezmer recordings, and basically music from ALL OVER the world – far too much for me to page through, particularly as my computer seems to have gone on strike at the moment. The standard entries seem to list the country or tradition first, as in “KURDISTAN Dursa Acar: Traditional and Contemporary Music of Kurdistan.” So, you should be able to search a country or tradition of interest by using the Keyword Search box, and zip to the items of interest that way. Naxos Music Library has something for everyone! I’m a neophyte fan of Iranian / Persian classical music, and was so happy to find a recording called In a Persian Garden: The Santur – just the thing to listen to at work, when I’m busy writing and doing other computer-related work. Tracks included on NML are “Dashti,” “Shur,” “Abu-Ata,” “Afshari,” and “Homayun.” As with many of NML’s recordings there’s a link to a pdf booklet the provides helpful liner notes and information. A santur is a hammered dulcimer – give a listen to hear the amazingly beautiful, silvery cascades of sound that the musician, Nasser Rastegar-Nejad, magically produces. Niceto have these Booklet notes for noobs like me to learn more about this beautiful music! Chinese music – Before I sign off, I also want to tell you a bit about the Chinese music section (listed as a Genre of its own) within Naxos Music Library. It’s fantastic! A wide range of music is represented, including the wonderfully relaxing Butterfly Lovers Violin Concerto; Ding Shande’s somber & triumphant Long March Symphony; chamber music, and primarily slick orchestral arrangements of Chinese “oldies” and Chinese pop. You can of course find lots of traditional Chinese music by looking through the Genres > World category. There you’ll find wonderful records such as Ancient Art Music of China, Plucked Stringed Instrument Classics, and more. So – how do you find or refer campus colleagues & students to Naxos Music Library? It’s listed by name in the eLibrary’s Article Indexes and Databases list. You’ll be amazed by the breadth of music included there for your listening pleasure. Enjoy!! New @ the Library: More Streaming via Films on Demand! Hathi Trust Update – It’s here!